Horses are prey animals, so they are constantly scanning the energy of their environment to ensure they are safe. In fact, their survival depends on their ability to feel what's around them. They instinctively move away from emotions that feel "predator" like, and towards ones that feel safe or "herd" like. By acting as mirrors through their behaviour, horses give us unconditional feedback about our emotions. They help us reconnect and teach us how to receive loving relationships. Horses' hearts are five times bigger of ours, and beat more slowly. When we are with a horse that is relaxed, it slows down our heartbeat. We begin to feel calm and peaceful. This is why many people report feeling better around horses. 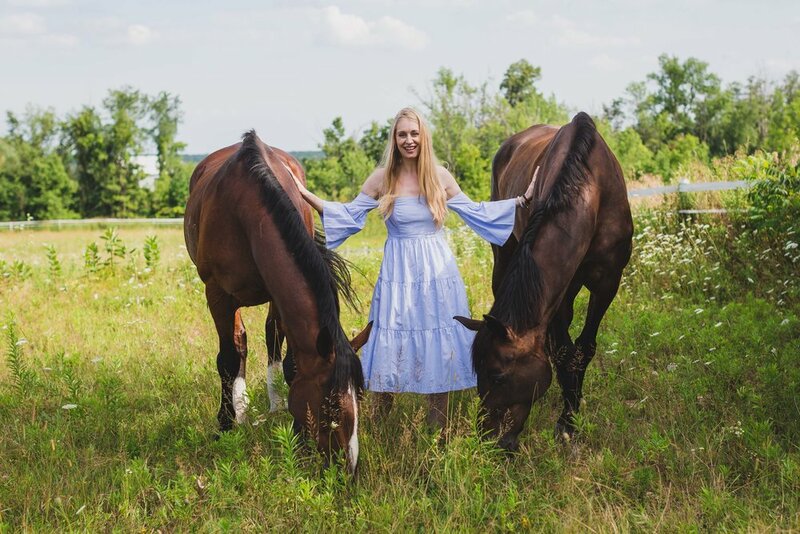 As the electromagnetic field of their hearts extends 25 feet outside their bodies, the benefits of being with horses can be felt from a distance. Horses instinctually respond to the energy they feel. This means they act as emotional mirrors. In facilitated exercises, a horse may mirror barriers to authentic connection in your life. We will work through these with the support of channeling and Reiki. Your heart will find the love it needs from these beautiful animals. When working with horses, it's ok to have emotions like sadness, fear and rejection come up. The horses accept us fully as we are, without judgment. They only ask that we are honest about and accept what we are feeling. When we do so, connection can be built and we become present. Horses help us drop the masks we learned to wear, and get back to our Self. We find vulnerability is a strength, and experience liberation. Horses can see 350 degrees around them. They have a blind spot directly in front and directly behind them. When in a group horses have eyes in all directions. This is why they feel safe in a herd. It also means they are open to connect with humans who feel like herd mates, because they are heart-centred. 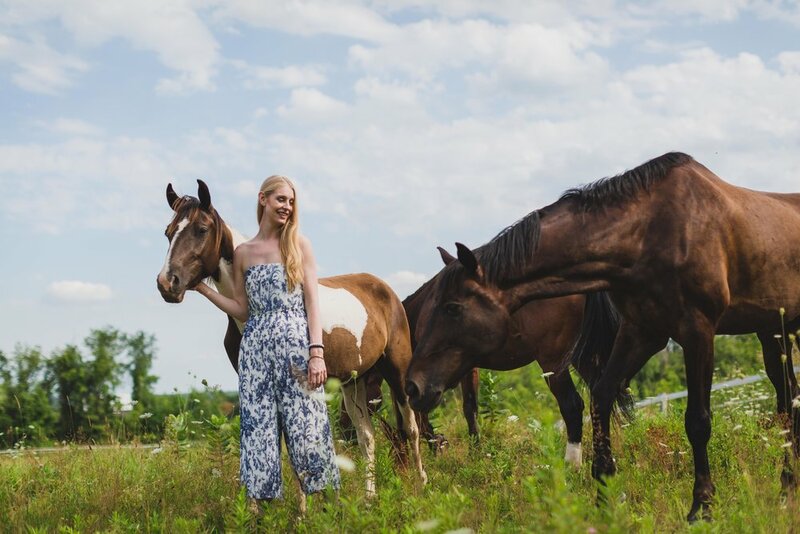 Horses can help us learn how to receive a healthy connection. Being in cities, with busy days, traffic, concrete and electronics, can disconnect us from our Earth. Without this rooting, we can short circuit and end up stuck in our patterns. Horses live in connection with the land. By reminding us to feel, drop into our bodies, and reconnect with Mother Earth, they bring us in the now. From here, we can manifest from our power and remember our true nature. An unbridled horse will mirror emotional blockages and heal them through its love, alongside Reiki, channeling and sound therapy. 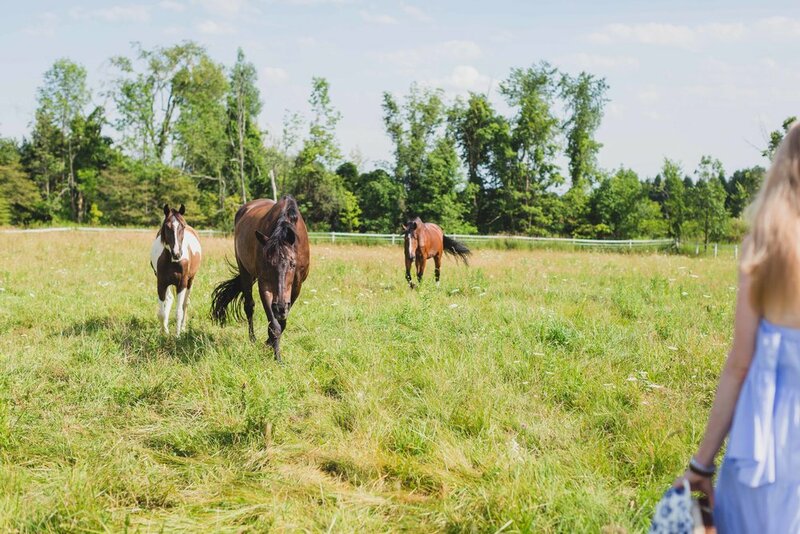 By helping relieve the stress, loneliness, frustration and despair that can accompany persistent concussion symptoms, Horse Medicine™ can help you start to feel better.